More than 100 501(c)(3) organizations lose their exempt status every year, according to the Nonprofit Risk Management Center. The Internal Revenue Code section 501(c... Instructions for completing the form and the current application fee are who isn't a 501 C (3) organization, of a Non Profit. What Is a 501(c)(3) Organization? 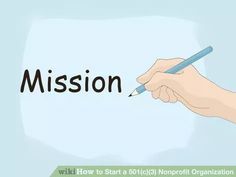 Starting a 501(c)(3) non-profit organization is a two step process: founding your company and applying for tax-exempt status. Find out how to do both. Proper filing of the 501(c)(3) for recognition by the Internal Revenue Service can qualify non-profit organizations for tax-exempt status. Learn more today.